If you ask Why there are so many Earthquakes ... or why some many floods ... or why so many people perish ... May be they do not know and will offer an inconclusive Answer. Of Course ... Serapis Bey ... was just one ... that help us continuously. 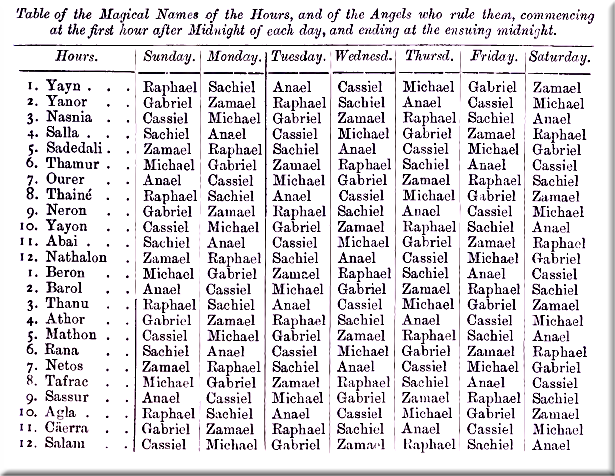 Hundred of Masters and Billions of Angels ... under the order of Archangels ... every day ... avoid Drama and enter ... and save and change order to be convenient and benevolent. Now ... if you do not read ... or never read ... Well you can browse or do a fearless step in that direction. ... Now in the last 10 years ... I, Giovanni have ordered ... and purchase ... many dozen of Books ... from any Subject ... most from Science ... basically Physics ... but also New Age and/or from the pen of the "Last Messanger" ... Elizabeth Clare ... previous was her husband ... Mark Prophet and they are the two olives (Revelation 11:4). Mark Prophet was Ikhnaton and Elizabeth was Nefertiti ... both Ascended to Heaven ... Mark was Lancelot at Camelot ... and Elizabeth was Guinevere ... and many others. Archangel Uzziel is an Archangel of the Eight Ray. The Seven Main Rays and the 5 Secret Rays for a Total of 12 Rays. You can by example investigate over +3200 articles ... exactly 3264 articles that range words from 180 Ascended Masters ... including Shiva, Krishna, Lord Jesus, Maitreya and many others. If we need to talk about us ... like a Company ... This year was ... in some sense a Sabbatical Year ... This means we do not care too much this year to duplicate sales or release new books or improve this or other Company course ... Nay. We Wait this year ... because we know Time ... And we do not need to tell you too much ... basically because you consider ... in Romantic mode ... The World heal by some Lovely Inertia ... instead to consider the Great Problems ... many people face and solve ... everyday. I come to you from the heart of Luxor in this hour and I bear the sword of the Divine Mother, the sword that has been placed in the hand of every true Bodhisattva who has entered the path of the ascension. Behold [the] seraphim of God, each one [of whom] does hold this sword at thy side! 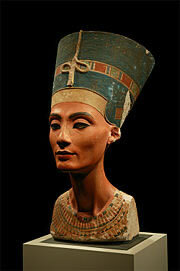 Behold thy defenders, O sons and daughters of Luxor, [and] I so name you! For I AM Serapis. Hear, hear the march of ascension’s flame. Hear the resounding of your victory’s keynote! The Light <2> released to you of summer solstice is directly proportionate to the Light you are able to receive by initiation from the white fire core of your own Mighty I AM Presence. Blessed is he that standeth in the Light and receiveth the Light and does move on! Cycles have turned. Progress is made. Yet steps have been skipped. Simultaneously you must go forward and yet bring up the rear. May you learn this balancing act, beloved. Therefore, beloved, know the white-fire/blue-fire Buddha! Know the Vajra, know the Vajra <5> of this line. White diamond/blue diamond equals yellow diamond, Cosmic Christ illumination! Let those schooled in the Gemini Mind of Serapis, of Morya, and of Morya/Serapis understand that in this fourteenmonth you can reach a great integration and a sealing and a meshing of the conclusion of Pisces, the beginning of Aquarius and maintain the unbroken link to all ages. For those who have Buddhahood may be in the sphere of any age and any cycle simultaneously. But those on the track of time and space, they walk through these cycles; and doors must open and [doors must] close, for they cannot contain the two at once. All things are sealed in the Causal Body of Light. Therefore let the Great Central Sun Magnet of the white fire [and the] legions of [the] Fourth Ray of all of cosmos [and] of Alpha and Omega now come forth for the multiplying of the action of strength of the Third Secret Ray, for the action of integration with God that it does provide, and for its very special integration with the Fourth Ray. Thus the ribbon is unfolded. And thus you will understand that the initiation of this cycle on this day of the Declaration of Independence of your Founding Fathers, beloved, does signify to what purpose this secret ray is come. It is your declaration and separating out from the not-self, the dweller[-on-the-threshold], the fallen ones; [it is] your declaration of integration with the Great God. Maitreya has given to you the Teaching and the Mother has presented the Path. With these two you should enter this cycle with a certain flame of God-mastery and develop it day by day. Let these fourteen months be a forget-me-not to my heart that you might not let a day pass that you are not conscious of where you are in those cycles, approximately thirty degrees per month, beloved. Therefore let the cycle be announced each day at the beginning of each decree session that all might remember what is the station of the cross, who is the Dhyani Buddha, what is the path, what is the poison to be overcome, what is the antidote, [i.e.,] what will consume it. Thus I adjure you to pursue all five points scientifically, for these five points represented in the hands all come together in the womb of creation for the re-creation of the self after the image and likeness of the Buddha. 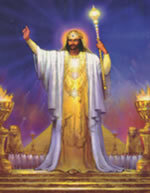 I, Serapis Bey, come to you by dispensation of the Four and Twenty Elders. And I am truly grateful that you have not forgot to keep the flame of the path of the ascension for all upon earth. Now I challenge you: keep the flame of the ascension by the five wisdoms and by the banishment of the five poisons! Thus may your example of the ascension be an example of a path of enlightenment. Even so, come quickly into the joy of the golden sun of illumination. In the white light of the Mother I recede that you might know that both the Mother and the white light and all of the Great White Brotherhood are inaccessible to you until you are willing to pass through those secret-ray spheres to the white fire core of being. And this does require, beloved, enough faith to allow oneself to be assimilated by the Great God before the permanency of the ascension does seal thy identity. Thus may you know why your El Morya has espoused the First Ray and sought after you to give your [soul’s] surrender and allegiance to that will of God. For when you love the will of God your faith grows as magnificent fiery blue-flame flowers. By faith, beloved, and faith alone will you face the Guru, enter in. And the Circle of the One will be drawn around you, and there will be the sealing of the curtain as within the Holy of Holies you, as the bride of the Universal Christ, receive your Lord and receive those initiations unto the assimilation of God [by the soul] and [the assimilation] by God [of the soul]. I AM Serapis. With profound love of the Ruby Ray I seal your course now, which by your choice can be a choice and a path of ultimate victory in the Ruby Ray and in the Third Secret Ray. I mark the sign of the ruby cross and I seal you now in the heart of the Guru you choose, if you so choose. This dictation by Serapis Bey was delivered by the Messenger of the Great White Brotherhood Elizabeth Clare Prophet following Lord Maitreya’s dictation at the conclusion of the Monday evening service on Tuesday, July 4, 1989, during Free El Morya! A Fourth of July Prayer Vigil held at the Royal Teton Ranch, Park County, Montana. Available with the dictation of Lord Maitreya on 90-min. audiocassette B89097. [N.B. Bracketed material denotes words unspoken yet implicit in the dictation, added by the Messenger under Serapis Bey’s direction for clarity in the written word.] Throughout these notes PoW is the abbreviation for Pearls of Wisdom. 1. Two-edged sword. Ps. 149:6; Prov. 5:4; Heb. 4:12; Rev. 1:16; 2:12. 3. The 14-month cycle of Serapis Bey in the Third Secret Ray. On December 29, 1978, Serapis Bey announced that at winter solstice December 21, 1978, a 14-month cycle of initiation had been inaugurated whereby we could increase the white sphere of our Causal Body and balance an extraordinary amount of personal and planetary karma. Since that time, every 14 months has marked the start of another 14-month cycle commemorating the soul’s initiatic journey through the successive spheres of the Causal Body. The Causal Body is depicted in the Chart of Your Divine Self as concentric spheres of Light surrounding the I AM Presence, the upper figure in the Chart. During each 14-month cycle we have the opportunity to increase one sphere of the Causal Body (and balance the karma made on the corresponding ray and chakra) by calling for its amplification and multiplication by ascension’s flame and by the Great Central Sun Magnet of the Fourth Ray, which corresponds to the center (white) sphere of the Causal Body. After seven successive 14-month cycles of initiation through the seven outer spheres of the Causal Body (white through blue), Serapis Bey announced on February 28, 1987, the inauguration of the first of five 14-month cycles in the five secret rays. The 14-month cycle in the sphere of the Second Secret Ray began April 25, 1988; the 14-month cycle in the sphere of the Third Secret Ray was initiated on July 4, 1989. Serapis Bey has explained that the goal of each 14-month cycle is for you as a disciple of Jesus Christ and Gautama Buddha to pass through the 14 stations of the Aquarian cross of the Woman and her seed (Rev. 12:4, 5, 17). The 14 stations of the Aquarian cross provide a path of initiation for the Divine Mother and her sons and daughters that is parallel to the 14 stations of the Piscean cross fulfilled by Jesus. The stations signify the 14 events that occurred in Jesus’ life during his Passion on Good Friday from 1. Jesus is condemned to death to 14. Jesus is laid in the sepulchre. They represent not only the testings and trials of the chelas of the Ascended Masters but also the personal and planetary karma that Lightbearers are bearing in their bodies in this transition from the 2,000-year dispensation of Pisces to Aquarius. In order to deal scientifically with these challenges, which come to us daily, students of the Ascended Masters chart the 14 stations on the Cosmic Clock according to the principles of cosmic astrology taught to the Messenger Elizabeth Clare Prophet by Mother Mary. Thus, each month during Serapis Bey’s 14-month cycle, the chela is working on one of the 14 stations corresponding to one line of the Cosmic Clock. The 1st station is charted on the 12:00 line (or 12:00/6:00 axis), the 2nd on the 1:00 line (or 1:00/7:00 axis), etc. The 13th station is clocked on the 12:00 line (or 12:00/6:00 axis) and the 14th station on the 6:00 line (or 6:00/12:00 axis). If you were not aware of Serapis Bey’s 14-month cycles of initiation or feel you have not taken the greatest advantage of the opportunity they afford those on the path of the ascension under the hierarchs of the Ruby Ray, you can ask the hierarchies of Light to give you, according to the will of God and the discriminating intelligence of your Holy Christ Self, the initiations of each sphere. Thus in your calls and invocations to God and your decrees to the ascended hosts of the Lord as well as in your daily service to life at home or on the job, you would be spending 14 months in each sphere of the Causal Body, one at a time, starting with the center white sphere and proceeding outward through each successive sphere. You would be taking these beginning initiations simultaneously with the initiations of the current 14-month cycle–but only one missed 14-month cycle at a time along with the current cycle, beginning with the earliest one missed. For instance, someone just starting would begin with the current Third Secret Ray cycle and the first cycle through the white sphere of the Causal Body. For additional information on the Cosmic Clock see: Elizabeth Clare Prophet, The Great White Brotherhood in the Culture, History and Religion of America, pp. 173-206. The ABC’s of Your Psychology on the Cosmic Clock: Charting the Cycles of Karma and Initiation, 8-audiocassette album, 12 lectures, 12 hr., A85056. Elizabeth Clare Prophet, June 29, 1988, “Seminar on the Cosmic Clock: Charting the Cycles of Your Karma, Psychology and Spiritual Powers,” 4 audiocassettes, 5 hr. 50 min., A88087A; accompanying packet of study materials, including the color “Diagrams of the Cosmic Clock,” #2368. “Diagrams of the Cosmic Clock” may be ordered separately, as well as the Chart of the “14 Stations of the Aquarian Cross.” For a further listing of teaching on Serapis Bey’s 14-month cycles and the secret-ray initiations, see 1988 PoW, vol. 31 no. 29, pp. 229-30 n. 7. 4. The seven rays and the initiations of the Lords of the Seven Rays are charted consecutively on the Alpha cycle of the Cosmic Clock on the 12/6 (First Ray), 1/7 (Second Ray), 2/8 (Third Ray), 3/9 (Fourth Ray), 4/10 (Fifth Ray), 5/11 (Sixth Ray), and 6/12 (Seventh Ray) axes. Padma Sambhava, the sponsoring Buddha of Guru Ma, a title and office held by Elizabeth Clare Prophet, is positioned to initiate the chelas of the Divine Mother on the 6:30/12:30 axis for the transition between the outer seven rays and the inner five secret rays. The five secret rays and the initiations of the Five Dhyani Buddhas are mastered on the Omega cycle of the Cosmic Clock on the half-hour positions of the 7:30/1:30 (First Secret Ray), 8:30/2:30 (Second Secret Ray), 9:30/3:30 (Third Secret Ray), 10:30/4:30 (Fourth Secret Ray), and 11:30/5:30 (Fifth Secret Ray) axes. Each hour on the Cosmic Clock has an Alpha Thrust and an Omega Return. The first half-hour of the hour is the Alpha (plus, or yang) half of the hour; the second half of the hour is the Omega (minus, or yin) half of the hour. The initiations of the Father, the Son, and the Holy Spirit are on the Alpha Thrust and the initiations of the Buddha and the Mother are on the Omega Return. Through these initiations the soul goes forth from the Great Central Sun at the Alpha Thrust and gains experience in the Matter universes. On the Omega Return the soul reenters the Causal Body and returns through the ritual of the ascension to the heart of God in the Great Central Sun. The entire current 14-month cycle of Serapis Bey in the Third Secret Ray (midpoint of the five secret rays) is charted on the Omega cycle, the half hour, of the 9:00 line (i.e., 9:30), which is in polarity with the Omega cycle of the Fourth Ray on the 3:00 line (i.e., 3:30). 5. Vajra is a Sanskrit word rendered as thunderbolt or diamond; adamantine; that which is hard, impenetrable; that which destroys but is itself indestructible. It is also a scepterlike symbol of the thunderbolt, representing the adamantine nature of Truth. It is taught that the vajra cleaves through ignorance and therefore symbolizes the indestructible nature of the Buddha’s wisdom and the victory of knowledge over illusion. Serapis Bey was also referring to Vajrasattva, a divine being in Buddhism, called a Buddha by some and a Bodhisattva by others, whose name has been variously translated as “Diamond Being,” “Diamond Nature,” “the Indestructible-minded One,” or “the Adamantine.” Vajrasattva is described in The Encyclopedia of Eastern Philosophy and Religion as: “Vajrasattva: Skt., lit. ‘Diamond Being’; in Vajrayana Buddhism, the principle of purity and purification. Vajrasattva embodies the capacity to eliminate spiritual impurities of all kinds, particularly neglected commitments toward one’s teacher and one’s own spiritual development. Vajrasattva is a sambhogakaya manifestation; he unifies all the five buddha-families within himself in the same way that the white color of his body (in iconography) unifies all the five colors. With his right hand he holds a dorje [a vajra] to his heart, which signifies his indestructible essence. His left hand, holding a bell, rests on his hip; this is an expression of his compassion. The hundred-syllable mantra associated with him is used in all schools of Tibetan Buddhism for purification of the mind” (Boston: Shambhala Publications, 1989; p. 398). According to Lama Govinda, Vajrasattva “is the active reflex of Aksobhya, or that side of his being which is turned towards the world. In Vajrasattva the highest reality of the Dharma-sphere is reflected and rendered conscious on the individual plane. He is the active ray of the ‘Wisdom of the Great Mirror’....He is the Vajra of the Heart, the immutable, indestructible–the spiritual certainty that flows from the direct experience of reality, in which all Wisdoms are fused into one by the flame of an all-embracing feeling of solidarity...and the urge to act for the benefit of all living beings” (Foundations of Tibetan Mysticism [New York: Samuel Weiser, 1969], p. 187). The two aspects of the blue Dhyani Buddha Akshobhya and the white Vajrasattva are sometimes combined into one being called Vajrasattva-Akshobhya. The mantra Om! Vajrasattva, Hum! is given to purify all defilements and obscurations.